Historic Downtown Seneca is filled with great shopping finds! From antiques and pottery to formal wear and cupcakes to toys and folk art to olive oil, historic Downtown Seneca is sure to have what you heart desires! Historic downtown Seneca, home of beloved Ram Cat Alley, has much to offer locals and tourists alike! There are several great gift and antique shops--serving every group of people--some feature American made & Fair Trade, others folk art and garden art, others the hottest gift and decor items! Come wander the area and see what you find! M. Tannery & Sons offers an eclectic mix of new, vintage and antique furnishings, home accessories, art, gifts and oddities. We are made up of 29 unique dealers. Our merchandise changes daily, so visit us often. M. Tannery & Sons is a 'Happy Place'. We hope you will come share it with us and take a little happy home with you. Look for M. Tannery & Sons on Facebook! Handmade, American made and Fair Trade products are the focus of Green Springs, located at 114 Ram Cat Alley in downtown Seneca. After nearly six great years at 117 Ram Cat Alley, Green Springs had to grow into a larger space across the street: 114 Ram Cat Alley. Green Springs specializes in pottery, natural handmade soaps, hand blown and slumped glass, Fair Trade baskets, toys and more! Green Springs proudly offers the arts, crafts and products from over 60 artists and companies which are MADE IN THE USA. Green Springs also offers a great selection of cards, totes, locally made natural soaps, toys and baby gifts! Find Green Springs on Facebook! Check out Green Springs' webpage! Green Springs' is also on Twitter! The Red Door, located at 120 Ram Cat Alley – in the heart of Seneca’s historic district has an eclectic collection of décor and gifts. Collections include stylish lamps, clocks, antiques, southern baskets and great permanent florals. The Red Door also carries the largest selection of Lake Keowee and Lake Hartwell items in Upstate South Carolina. Whether it’s something for your home or a special gift, The Red Door will highlight your good taste. Featured items: Scent products: Habersham Wax Vessels, Man cave: Lake signs, Table Top: Blenko Glass, Linens: Split Pea Placemats, napkins and guest towels, Fun specialties: Luminara candles, Dammit Dolls. A contemporary art gallery carrying fine art, high-quality handmade items located in the heart of downtown Seneca on historic Ram Cat Alley. Loblolly Arts houses a vibrant selection of art in an array of mediums. They are committed to promoting art and will work with you offering personal service in finding the perfect piece for you. Loblolly Arts welcomes all art lovers from first time collectors and gift buyers to seasoned collectors. Their goal is to make an art lover out of everyone. This beautiful, aesthetically pleasing store is the brainchild of Angela and Sally. Friends and neighbors for seven years, these two forward thinking female entrepreneurs have combined their personal flavors and created an innovative treat for shoppers of all tastes. 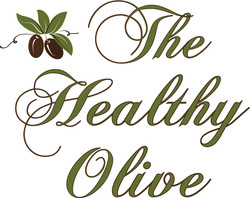 Located on Historic Ram Cat Alley in Seneca, The Healthy Olive is set in a warm and inviting atmosphere with a Mediterranean flair that offers an astounding variety of wines, olive oils, balsamic vinegars, spices, dips and a breathtaking array of artistic gifts and quaint novelties. Stop in for an utterly unforgettable experience in flavor and culture! In business for decades, Brock's Seneca Jeweler is your home town jeweler for jewelry and watch sales who can repair watches, clocks and more. Carolina Summer offers bridal, Prom, Pageant, All Occasion, & Tuxedo Rentals,Alfred Angelo-Benjamin Walk & Dyeables-Jim's Formal Wear. Carolina Summer is a one stop shop for all of your formal wear needs! Check out Carolina Summer on Facebook! More Shopping Listings Coming Soon!